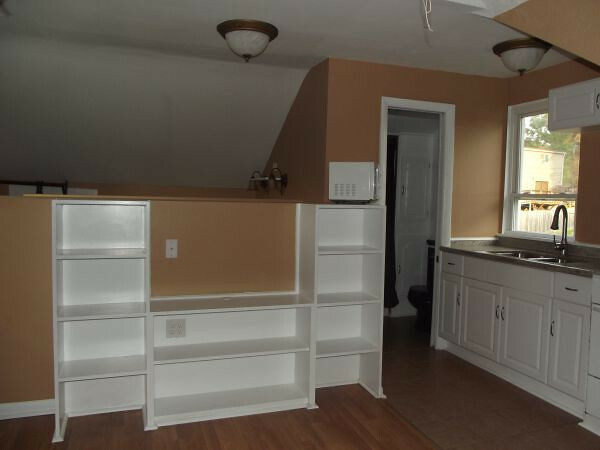 The studio-efficiency on the 3rd floor features built-in book shelves with center opening for a flat-screen TV. To the right is a kitchenette and bath. The unit also comes furnished with a small microwave oven.